Many thanks to Suzanne O’Sullivan for her time in putting this podcast together. Her excellent books “It’s all in your head” and “Brainstorm” are well worth a read. 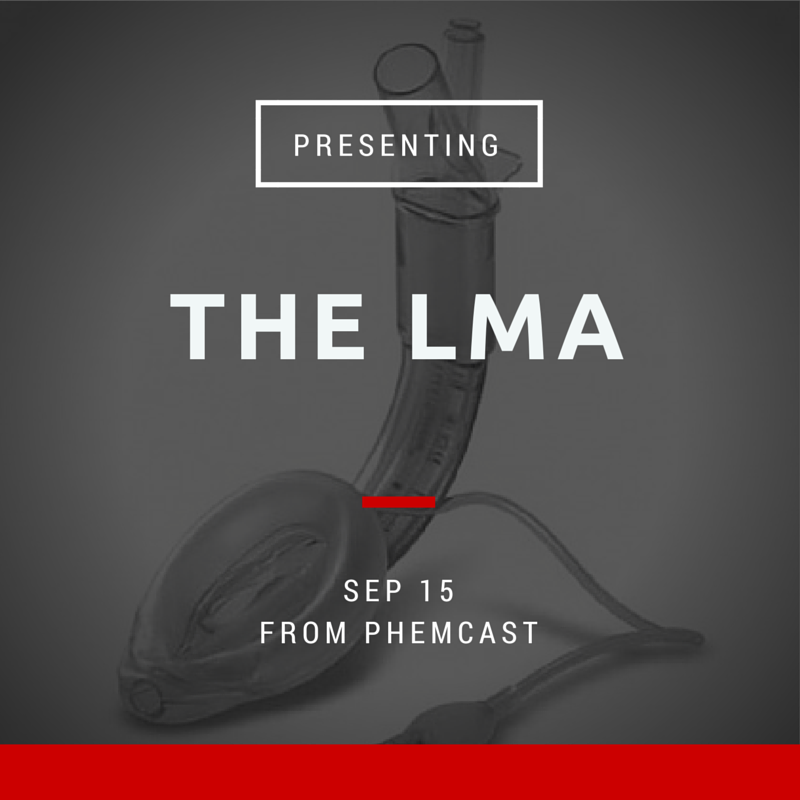 It is certainly one of the PHEMcast recordings which is going to change my own practice the most. We can all find these patient’s challenging to look after – we often fail to communicate effectively and meaningfully. This is understandable as so much of our training and experience is based around the treatment of the physical condition. There are a huge number of terms to describe psychosomatic illness – some of which are not useful. A common nomenclature here will help communication between both health care professionals and our patients. Psychosomatic: a physical illness or other condition) caused or aggravated by a mental factor such as internal conflict or stress. Non-epileptic seizures = dissociative seizures. The terms ‘functional’ and ‘supratentorial’ are best avoided! As always please let us know your thoughts! Brilliant monitor in anaesthesia in that in elective cases, we start off with healthy patients are looking for deviations from the norm- and a normal ETCO2 trace tells you that all those components are functioning. How does ETCO2 relate to arterial CO2? What we’re REALLY interested in is arterial CO2 as this is the clinically significant value in a number of clinical scenarios; for example in the brain-injured patient, we want to keep arterial CO2 values normal as we know that this determines the state of cerebral vasoconstriction or dilation, and thus affects ICP. In non-brain injured patients, high arterial CO2 can lead to a respiratory acidosis, and low pH values are harmful to most body tissues, in particular the clotting cascade (because of its reliance on enzymes, which function best in a narrow range of pH), and cardiac contractility. In healthy people, ETCO2 is usually 0.5-1kPA LOWER than the arterial value. Why is this? CO2 is only found in parts of the lung which participate in gas exchange, i.e are perfused with blood. So the trachea and first few generations of bronchi do not participate in gas exchange and are known as the dead space. They ARE however filling with gas during breaths, and as such gas from this dead space DILUTES the gas containing CO2 that has come predominantly from the alveoli. What causes a discrepancy between arterial and ETCO2? Usually by infra-red absorption- CO2 absorbs infra-red light in a manner proportional to its concentration in the sampled gas. Can be measured from a breathing circuit attached to an invasive airway device e.g supraglottic airway or endotracheal tube, or from a number of methods in the spontaneously breathing patient, such as a specific nasal cannula, or a sampling tube attached to an oxygen mask. Important to note that the waveform, and values for ETCO2 are very different in the spontaneously breathing patient, and we’ll come back to that later. Might be measured directly from the breathing circuit (mainstream) or sucked out of the circuit in a sampling tube (sidestream). Might display results as a waveform with a value given for ETCO2, or simply a number (capnometry) although the latter much less useful. What does the waveform mean? The classic waveform that you will see in textbooks come from CO2 measured in the ventilated patient. Phase I (inspiratory baseline) reflects inspired gas, which is normally devoid of carbon dioxide. Phase II (expiratory upstroke) is the transition between dead space and alveolar gas from the respiratory bronchioles and alveoli. As noted in 1978, ETCO2 drops off when chest compressions become ineffective. When should we use ETCO2 monitoring in the prehospital setting? Optimise ventilation post ROSC as you are now dealing with a head-injured patient. You will learn more quickly than any other method when your patient is deteriorating- e.g in blood loss, ETC02 will gradually fall. In the head injured patient who’s coning, you’ll see apnoeas and gradually rising ETCO2. In the heart failure patient who’s about to arrest, you’ll see their ETCO2 fall precipitously almost before anything else. In the comatose patient, you’ll be able to see that their airway is obstructed on the capnography a full 30 to 60s before their sats drop (by which point you’re already a long way down the oxygen dissociation curve). Device failure- lines blocking, batteries running out, pump failure. Those lovely graphs showing curare clefts, rebreathing, bronchospasm etc you see on lots of different websites and in textbooks? They are almost all referring to capnography in the intubated and ventilated patient, who has a constant tidal volume. Numbers are often wildly inaccurate in the critically unwell population, and there may be an ET-arterial gradient of 10kPA. A Prolonged phase II, increased α angle, and steeper phase III suggest bronchospasm or airway obstruction. B Expiratory valve malfunction resulting in elevation of the baseline, and the angle between the alveolar plateau and the downstroke of inspiration is increased from 90°. This is due to rebreathing of expiratory gases from the expiratory limb during inspiration. C Inspiratory valve malfunction resulting in rebreathing of expired gases from inspiratory limb during inspiration (reference 5 for details). D Capnogram with normal phase II but with increased slope of phase III. This capnogram is observed in pregnant subjects under general anesthesia (normal physiologic variant and details in reference 9). E Curare cleft: Patient is attempting to breathe during partial muscle paralysis. Surgical movements on the chest and abdomen can also result in the curare cleft. F Baseline is elevated as a result of carbon dioxide rebreathing. G Esophageal intubation resulting in the gastric washout of residual carbon dioxide and subsequent carbon dioxide will be zero. H Spontaneously breathing carbon dioxide waveforms where phase III is not well delineated. I Dual capnogram in one lung transplantation patient. The first peak in phase III is from the transplanted normal lung, whereas the second peak is from the native disease lung. A variation of dual capnogram (steeple sign capnogram – dotted line) is seen if there is a leak around the sidestream sensor port at the monitor. This is because of the dilution of expired PCO2with atmospheric air. J Malignant hyperpyrexia where carbon dioxide is raising gradually with zero baseline suggesting increased carbon dioxide production with carbon dioxide absorption by the soda lime. K Classic ripple effect during the expiratory pause showing cardiogenic oscillations. These occur as a result of to-and-for movement of expired gases at the sensor due to motion of the heartbeat during expiratory pause when respiratory frequency of mechanical ventilation is low. Ripple effect like wave forms also occur when forward flow of fresh gases from a source during expiratory pause intermingles with expiratory gases at the sensor. L Sudden raise of baseline and the end-tidal PCO2(PETCO2) due to contamination of the sensor with secretions or water vapor. Gradual rise of baseline and PETCO2occurs when soda lime is exhausted. M Intermittent mechanical ventilation (IMV) breaths in the midst of spontaneously breathing patient. A comparison of the height of spontaneous breaths compared to the mechanical breaths is useful to assess spontaneous ventilation during weaning process. N Cardiopulmonary resuscitation: capnogram showing positive waveforms during each compression suggesting effective cardiac compression generating pulmonary blood. O Capnogram showing rebreathing during inspiration. This is normal in rebreathing circuits such as Mapleson D or Bain circuit. Many apologies for the delay in the release of this podcast! A second apology is due for the sound quality – it was recorded at a ‘live’ HEMS base – this has led to lots of background noise I am afraid. We have done our best to edit this out / reduce its effect but I’m afraid we are not experts in this area! This podcast is part 2 of this series on the ventilator – and you should be familiar with the first in this series before progressing further! PEEP is important – you need to understand its benefits and potential harms. If the patient is requiring more oxygen than you would expect try increasing the PEEP. You really, really need to know your kit. Know what your ventilator can and can’t do – know how it works and how its alarms work. There is the potential for significant controversy in this month’s episode – and we would really appreciate the feedback of the prehospital community on this one. We have held the ‘no clear fluids’ mantra close to our hearts for most of our prehospital careers. We ‘know’ that giving sea water to our patients, and diluting all of blood’s ‘good bits’ can’t be healthy. We believed in permissive hypotension – we were probably wrong. The balances of harms in the context of blunt trauma between the negative effects of infusing saline versus the negative effects of hypotension are unknown and prehospital actions need to be customised to an individual patient and situation. In systems in which a potentially less harmful resuscitation strategy can be delivered sooner – PH systems with packed red cells / fresh frozen plasma / whole blood or freeze dried plasma, then it seems pragmatic to aim for normotension (predicted normal blood pressure) sooner in the patient’s care timeline than we have been e.g. at one hour. In patients with penetrating trauma permissive hypotension may remain useful for longer or at least until a patient can be differentiated and the bleeding controlled. Smith IM, James RH, Dretzke J, Midwinter MJ. Prehospital Blood Product Resuscitation for Trauma. Shock. 2016 Jul;46(1):3–16. Shorter times to packed red blood cell transfusion are associated with decreased risk of death in traumatically injured patients. Powell EK, Hinckley WR, Gottula A, Hart KW, Lindsell CJ, McMullan JT. J Trauma Acute Care Surg. 2016 Sep;81(3):458-62. Penn-Barwell JG, Roberts SA, Midwinter MJ, Bishop JR: Improved survival in UK combat casualties from Iraq and Afghanistan: 2003-2012. J Trauma Acute Care Surg 78(5):1014–1020, 2015. Holcomb JB, Donathan DP, Cotton BA, Del Junco DJ, Brown G, Wenckstern TV, Podbielski JM, Camp EA, Hobbs R, Bai Y, et al. : Prehospital transfusion of plasma and red blood cells in trauma patients. Prehosp Emerg Care 19(1):1–9, 2015. Weaver AE, Eshelby S, Norton J, Lockey DJ: The introduction of on-scene blood transfusion in a civilian physician-led pre-hospital trauma service. Scand J Trauma Resusc Emerg Med 21(Suppl1):S27, 2013. Bodnar D, Rashford S, Williams S, Enraght-Moony E, Parker L, Clarke B: The feasibility of civilian prehospital trauma teams carrying and administering packed red blood cells. Emerg Med J 31(2):93–95, 2014. Ventilation – a dark art. Difficult to be a master, easy to be average (or terrible)! This is “part 1”, which includes some of the basic (and not very basic) concepts behind ventilation. We recorded over 60 minutes of excellent content with George – we will post more below as soon as it is edited. . Check out Georges powerpoint – its excellent! The recent resurgence in this method of suicide has put emergency responders at a significant increase of serious injury and death. This podcast discussed the current most frequent methods of attempted and successful inhalational suicide – keep safe. There are a multitude of professional and advisory websites out there. We are keen not to raise awareness of specific combinations of chemicals / products. We hope you enjoyed our sepsis podcast. It is obviously a huge topic and there is lots of information to cover; a couple of other recently released podcasts are available which are produced with the Emergency Medicine community in mind, but will no doubt expand your knowledge. St Emlyns Induction podcast on Sepsis. March 2016. A great summary of what to do when a patient with suspected sepsis first arrives in the ED. A bit more detail covering some of the research in an easy to understand way. It particularly discussed the original Rivers trial which we mention in the podcast. It’s worth remembering that sepsis is a spectrum of disease when assessing patients. As you will see the trial was relatively small – with only 263 patients being recruited into the trial. What was impressive, and changed practice, forming the basis of the Surviving Sepsis Campaign, was the significant reduction in mortality. Patients in the standard care group had a mortality of 46% compared with the treatment group 30%, which was statistically significant (p=0.009). Further large randomized controlled studies to try and demonstrate the same mortality benefit from Rivers-style EGDT have not shown the same results (Process, Arise, PROMISe). Patients in these trials were randomly assigned to one of two groups. The ‘intervention’ group received the new treatment, in this case EGDT, which was being tested. The ‘standard care’ group were looked after according to how the clinician would usually treat a patient with severe sepsis. This was the same principle as in the Rivers trial: the standard care group is the ‘control’ group against which changes in outcome for the ‘intervention’ group are compared. The mortality in both groups in all 3 trials was similar, there was not the significant reduction in mortality seen in the Rivers study. This was probably because, as we say in the podcast, ‘standard’ care for sepsis has improved considerably in the intervening years. The control group received many similar treatments as the ‘intervention’ group (just not full protocolised EGDT) highlighting that with good sepsis care (fluid resuscitation, close monitoring, early appropriate antibiotic administration), mortality can be reduced. Have a look at the UK Sepsis Trust website: http://sepsistrust.org. There are toolkits available to download, including one specifically written for the prehospital environment with the College of Paramedics, which summarises the recognition and management of sepsis. Link to the Sepsis-3 guideline. Reviewed (again for the Emergency Medicine community) here. When Tim talks about test characteristics he is referring to the ability of a test to correctly identify the presence or absence of an illness. Some may think that if a test is positive it always means the patient has the illness, or indeed if it is negative it rules out the possibility of that illness but this is not the case with many of the tests we use. Think about ECG as an example, So, where the box is green, the test has given us the correct result for the patient. But, where the box is red the test has given us the incorrect result: you will all be able to think about patients in whom the ECG was normal, but the patient turned out to have had an MI, or when the ECG showed an MI but the patient turned out not to have had one. These tables are used when assessing the usefulness of a test (or it’s sensitivity and specificity), and, when researching how useful tests are we need the majority of patients to fall into the green boxes. As always, any feedback, comments etc. – please let us know on the blog below! Herlitz J, ng AB, m BW-S, Axelsson C, Bremer A, Hagiwara M, et al. Suspicion and treatment of severe sepsis. An overview of the prehospital chain of care. Scand J Trauma Resusc Emerg Med. Scandinavian Journal of Trauma, Resuscitation and Emergency Medicine; 2012 Jun 27;20(1):1–1. Studnek JR, Artho MR, Garner CL, Jones AE. The impact of emergency medical services on the ED care of severe sepsis. Am J Emerg Med. 2012 Jan;30(1):51–6. Puskarich MA, Marchick MR, Kline JA, Steuerwald MT, Jones AE. One year mortality of patients treated with an emergency department based early goal directed therapy protocol for severe sepsis and septic shock: a before and after study. Crit Care. 2009;13(5):R167. Seymour CW, Rea TD, Kahn JM, Walkey AJ, Yealy DM, Angus DC. Severe Sepsis in Pre-Hospital Emergency Care. Am J Respir Crit Care Med. 2012 Dec 15;186(12):1264–71. Band RA, Gaieski DF, Hylton JH, Shofer FS, Goyal M, Meisel ZF. Arriving by Emergency Medical Services Improves Time to Treatment Endpoints for Patients With Severe Sepsis or Septic Shock. Academic Emergency Medicine. 2011 Aug 30;18(9):934–40. Seymour CW, Cooke CR, Heckbert SR, Spertus JA, Callaway CW, Martin-Gill C, et al. Prehospital intravenous access and fluid resuscitation in severe sepsis: an observational cohort study. 2014 Oct 28;:1–9. Trust US. You Gov Poll – Public Awareness of Sepsis. UK Sepsis Trust; 2014 Nov pp. 1–1. MD GEH, MD RET, MD RS, MD JDL, BS AMB, BS AJS, et al. ACCEPTED MANUSCRIPT. Am J Emerg Med. Elsevier B.V; 2015 Aug 26;:1–31. Amado Alejandro Baez MD MSc MFFF, MD LC. ACCEPTED MANUSCRIPT. Am J Emerg Med. Elsevier B.V; 2015 Oct 17;:1–16. Guerra WF, Mayfield TR, Meyers MS, Clouatre AE, Riccio JC. Early detection and treatment of patients with severe sepsis by prehospital personnel. J Emerg Med. 2013 Jun;44(6):1116–25. Gaieski DF, Mikkelsen ME, Band RA, Pines JM, Massone R, Furia FF, et al. Impact of time to antibiotics on survival in patients with severe sepsis or septic shock in whom early goal-directed therapy was initiated in the emergency department*. Crit Care Med. 2010 Apr;38(4):1045–53. Yealy DM, Huang DT, Delaney A, Knight M, Randolph AG, Daniels R, et al. Recognizing and managing sepsis: what needs to be done? ??? ??? 2015 Apr 24;:1–10. Báez AA, Hanudel P, Perez MT, Giráldez EM, Wilcox SR. Prehospital Sepsis Project (PSP): knowledge and attitudes of United States advanced out-of-hospital care providers. Prehosp Disaster Med. 2013 Apr;28(2):104–6. Harnden A. Parenteral penicillin for children with meningococcal disease before hospital admission: case-control study. BMJ. 2006 Jun 3;332(7553):1295–8. Femling J, Weiss S, Hauswald E. EMS Patients and Walk-In Patients Presenting With Severe Sepsis: Differences in Management and Outcome. South Med J. 2014. Gray A, Ward K, Lees F, Dewar C, Dickie S, McGuffie C, et al. The epidemiology of adults with severe sepsis and septic shock in Scottish emergency departments. Emergency Medicine Journal. 2013 Apr 12;30(5):397–401. Seymour CW, Cooke CR, Mikkelsen ME, Hylton J, Rea TD, Goss CH, et al. Out-of-hospital fluid in severe sepsis: effect on early resuscitation in the emergency department. Prehosp Emerg Care. 2010 Apr;14(2):145–52. Hahné SJM, Charlett A, Purcell B, Samuelsson S, Camaroni I, Ehrhard I, et al. Effectiveness of antibiotics given before admission in reducing mortality from meningococcal disease: systematic review. BMJ. 2006 Jun 3;332(7553):1299–303. One of the things we never want to have to do, but need to be prepared for. Have a listen, consider your kit, your top-cover arrangements, and when and how you may need to get this done. This podcast covers, which patients to consider, how to do it and discussion around consent, capacity and top-cover arrangements. This podcast features interviews with Professor Sir Keith Porter and Caroline Leech, which we hope you will enjoy. An immediate and real risk to the patient’s life due to a scene safety emergency. A completely mutilated non-survivable limb retaining minimal attachment, which is delaying extrication and evacuation from the scene in a non-immediate life-threatening situation. The patient is dead and their limbs are blocking access to potentially live casualties. 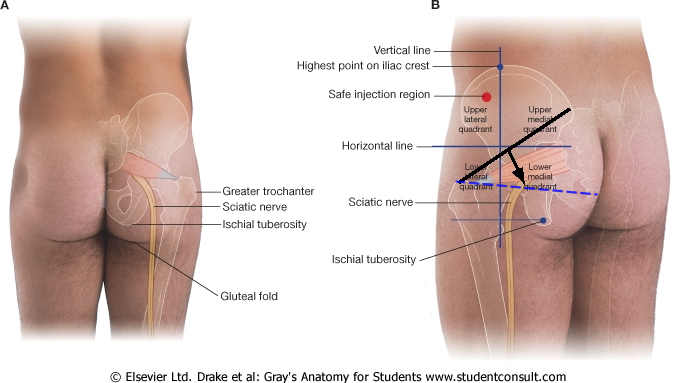 Apply an effective proximal tourniquet. Amputate as distally as possible. Apply haemostats to large blood vessels. Leave the tourniquet in situ. Please contribute to the blog below – specifically around top cover arrangements, decision making and individual competency around this procedure. Porter KM. Prehospital amputation. Emerg Med J. 2010 Dec 1;27(12):940–2. Reid C, Clancy M. Life, limb and sight-saving procedures–the challenge of competence in the face of rarity. Emerg Med J. 2013 Feb 1;30(2):89–90. .
Brodie S, Hodgetts TJ, Ollerton J, McLeod J, Lambert P, Mahoney P. Tourniquet use in combat trauma: UK military experience. J R Army Med Corps. 2007 Dec 1;153(4):310–3. Akporehwe NA, Wilkinson PR, Quibell R, Akporehwe KA. Ketamine: a misunderstood analgesic? BMJ. 2006 Jun 24;332(7556):1466. McNicholas MJ, Robinson SJ, Polyzois I, Dunbar I, Payne AP, Forrest M. ‘Time critical’ rapid amputation using fire service hydraulic cutting equipment. Injury. 2011; 42: 1333-1335. Hello and welcome to our next episode – we hope you enjoy it. This episode concentrates on hyperoxia – the delivery of lots (often too much) oxygen and the harms it may cause our patients. We both had colds – many apologies for the blocked noses and many sniffs! To follow: Dr Matt Thomas from the Great Western Air Ambulance discussing his groups work around reducing hyperoxia post-rosc. Cornet AD, Kooter AJ, Peters MJL, Smulders YM. The potential harm of oxygen therapy in medical emergencies. Crit Care. 2013 Apr 11;17(2):313. Rincon F, Kang J, Maltenfort M, Vibbert M, Urtecho J, Athar MK, et al. Association Between Hyperoxia and Mortality After Stroke. Crit Care Med. 2014 Feb;42(2):387–96. Stub D, Smith K, Bernard S, Bray J, Stephenson M, Cameron P, et al. A randomized controlled trial of oxygen therapy inacute myocardial infarction Air Verses Oxygen InmyocarDial infarction study (AVOID Study). American Heart Journal. Mosby, Inc; 2012 Mar 1;163(3):339–345.e1. 3. Asfar P, Singer M, Radermacher P. Understanding the benefits and harms of oxygen therapy. Intensive Care Med. 2015 Jan 30. Calzia E, Asfar P, Hauser B, Matejovic M, Ballestra C, Radermacher P, et al. Hyperoxia may be beneficial. Crit Care Med. 2010 Oct;38:S559–68. Asfar P, Calzia E, Huber-Lang M, Ignatius A, Radermacher P. Hyperoxia during septic shock–Dr. Jekyll or Mr. Hyde? Shock. 2011 Nov 21;37(1):122–3. Ligtenberg JJM, Stolmeijer R, Broekema JJ, Maaten ter JC, Zijlstra JG. A little less saturation? Crit Care. 2013 Jun 12;17(3):439. Sorry for the slight delay releasing our “October” podcast – but here it is (note how it is cunningly labelled Episode 2)! This month we are reviewing the evidence for the pelvic binder and discussing scenarios in which it should (and should not) be used. 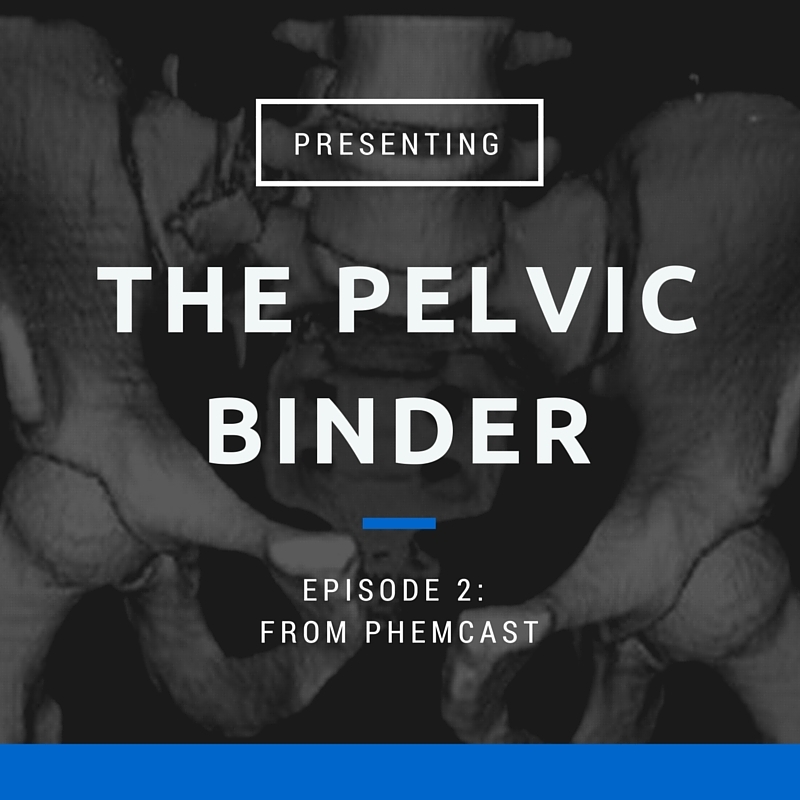 This is where a binder should sit on the pelvis – it commonly ends up higher, either in application or ‘rides up’ during transfer – keep an eye on it! 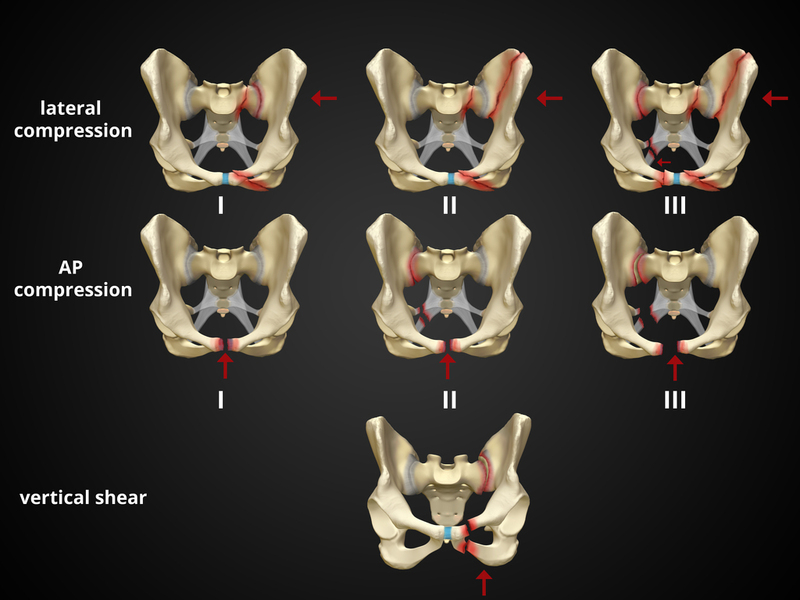 These are the different types of fracture pattern that can occur in a pelvic fracture: of course patients can suffer from multiple force vectors so may end up with any combination of these fracture types. As always… Get in touch! Scott I, Porter K, Laird C, Greaves I, Bloch M. The prehospital management of pelvic fractures: initial consensus statement. EMJ. 2013; 30(12): 1070-1072. Lee C, Porter K. The prehospital management of pelvic fractures. EMJ. 2007; 24: 130-133. Prasarn ML, Conrad B, Small J, Horodyski M, Rechtine GR. Comparison of circumferential pelvic sheeting versus the T-POD on unstable pelvic injuries: A cadaveric study of stability. Injury. 2013; 44: 1756-1759. Trebilcock H. Reducing overtriage and undertriage rates if pelvic fractures and unnecessary pelvic binder applications in major trauma patients. EMJ. 2015; 32(6): e17. DeAngelis NA, Wixted JJ, Drew J, Eskander MS, Eskander JP, French BG. Use of the trauma pelvic orthotic device (T-POD) for provisional stabilisation of anterior-posterior compression type pelvic fractures: A cadaveric study. Injury. 2008; 39: 903-906. Bottlang M, Krieg JC, Mohr M, Simpson TS, Madey SM. 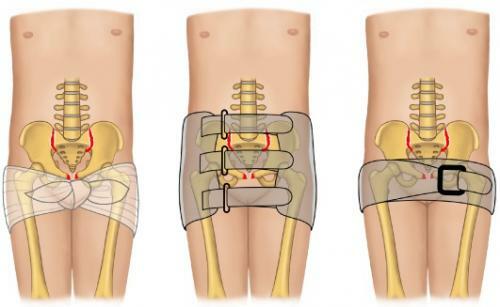 Emergent management of pelvic ring fractures with use of circumferential compression. The Journal of Bone & Joint Surgery. 2002; 84A (2): 43-47. Tan ECTH, van Stigt SFL, van Vugt AB. Effect of a new pelvic stabilizer (T-POD) on reduction of pelvic volume and haemodynamic stability in unstable pelvic fractures. Injury. 2010; 41(12): 1239-1243. Knops SP, Van Lieshout EMM, Spanjersberg WR, Patka P, Schipper IB. Randomised clinical trial comparing pressure characteristics of pelvic circumferential compression devices in healthy volunteers. Injury. 2011; 42(10): 1020-1026. Mason LW, Boyce DE, Pallister I. Catastrophic myonecrosis following circumferential pelvic binding after massive crush injury: A case report. Injury Extra. 2009: 84-86. Stewart M. BestBet: Pelvic circumferential compression devices for haemorrhage control: panacea or myth. EMJ. 2013; 30: 425-426. Croce MA, Magnotti LJ, Savage SA, Wood GW, Fabian TC. Emergent pelvic fixation in patients with exsanguinating pelvic fractures. Journal of American College of Surgeons. 2007; 204: 935-942. Knops SP, Schep NWL, Spoor CW, van Riel MPJM, Spanjersberg WR, Kleinrensink GJ, van Lieshout EMM, Patka P, Schipper IB. Comparison of three different pelvic circumferential compression devices: A biomechanical cadaver study. Journal of Bone & Joint Surgery. 2011; 93: 230-240. Knops SP, van Riel MPJM, Goossens RHM, Lieshout EMM, Patka P, Schipper IB. Measurements of the exerted pressure by pelvic circumferential compression devices. The Open Orthopaedics Journal. 2010; 4: 101-106.